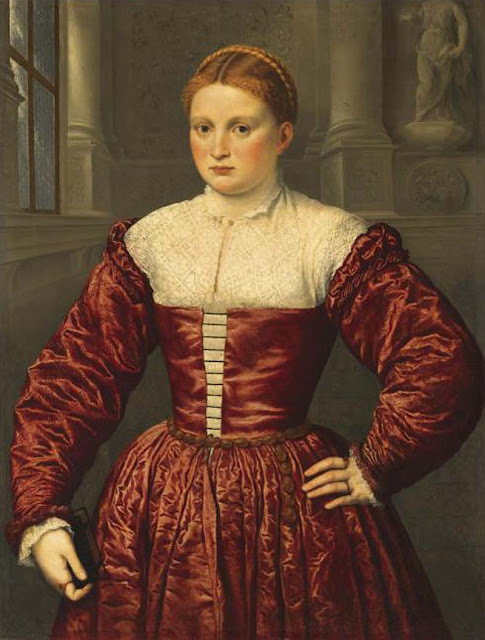 I prefer Bordone's technique better, but his paintings are rather dull. On the other hand, Bosch's are exciting! I vote Bosch. Bordone is more realistic, but Bosch is very original. My vote is Bosch! 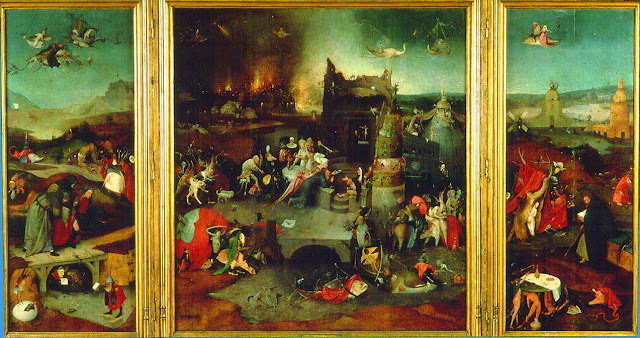 Oh, well, Bosch, of course! My vote goes to Bosch. It will take someone more interesting than Bordone to knock Bosch out of this competition. 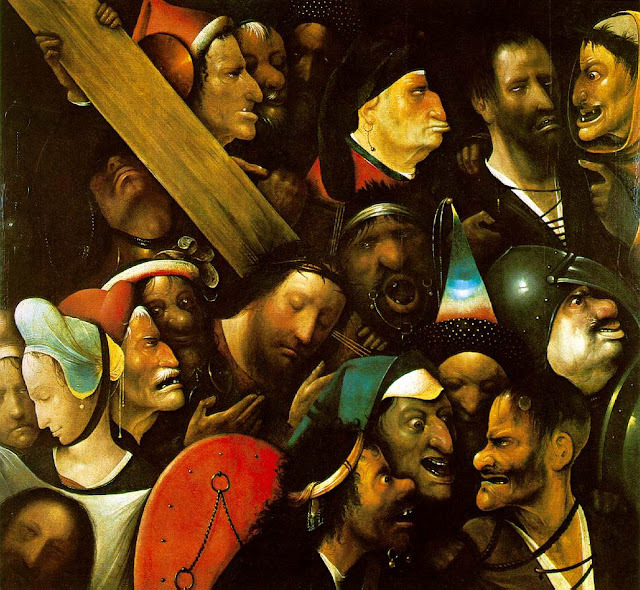 Never afraid to stand out in a crowd, I'm going to vote for Bosch. Bosch was one of the first Favorite Artists I ever had. A gateway artist. He's pretty awesome and amazing. 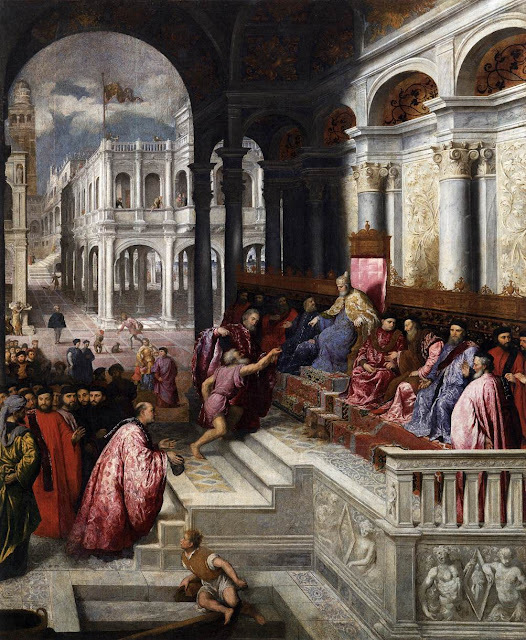 Bordone seems capable but uninteresting. I like the impeccable geometries of the first one, but it's so mathematically correct that it becomes a bit stiff. Add an email vote for Bosch. Love that first one by Bordone, but the majority of his work isn't as inspiring. And Bosch is just too crazy and weird and awesome. Bosch wins it. Voting is closed in this pairing. Bosch, 13-2.